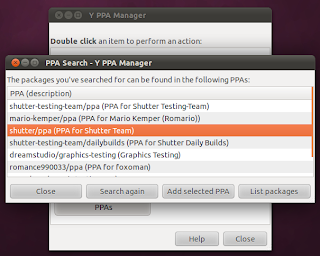 Y PPA Manager lets you search, add, remove or even purge PPA's in Ubuntu the easiest way. This is not a command line tool and is very easy for even a newbie Ubuntu user to understand and use. Below, you will see a brief review of Y PPA Manager and instructions for installing it in Ubuntu 11.04 Natty, Ubuntu 10.10 Maverick and Ubuntu 10.04 Lucid. What is Y PPA Manager and why do you need it? Ever wanted an easier method to search and install third party applications available in Launchpad repositories? Y PPA Manager is exactly what you need. 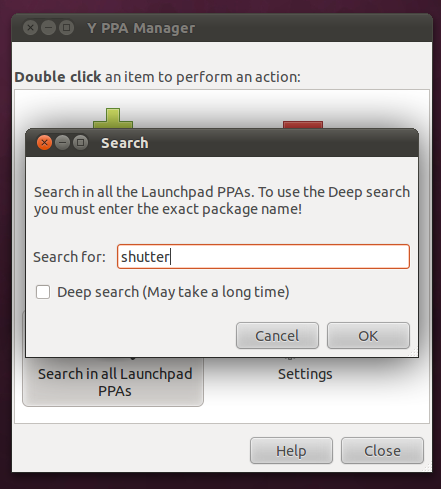 It not only lets you to search and install applications available in launchpad repositories, Y PPA Manager has the capabilities to remove or even purge PPAs you have already added in your Ubuntu. Ok now, let's do some minor testing of the application. Searching for PPAs is an awesome functionality and I wanted to test it first hand. 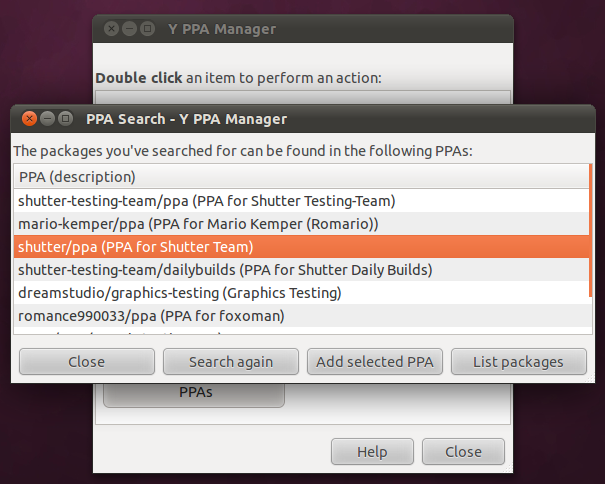 As you can see, I searched for PPAs related to Shutter screenshot application in Y PPA Manager. Gotcha! that's exactly what I wanted. And when I clicked on Add Selected PPA in order to add Shutter PPA to my repositories, it took only a few seconds to add and update my repositories. As you can see in the screenshot, there was even a Notify OSD message telling me that PPA has been successfully added and updated. There are options for removing PPAs and to even Purge PPAs as well. 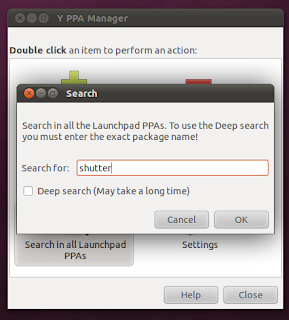 But the highlight of the tool definitely is its ability to search for Launchpad PPAs. 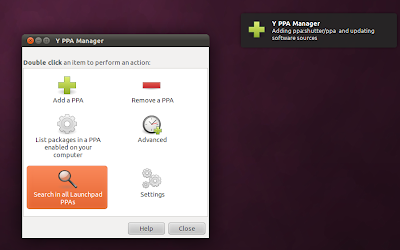 How to Install Y PPA Manager in Ubuntu 11.04 Natty, Ubuntu 10.10 Maverick? 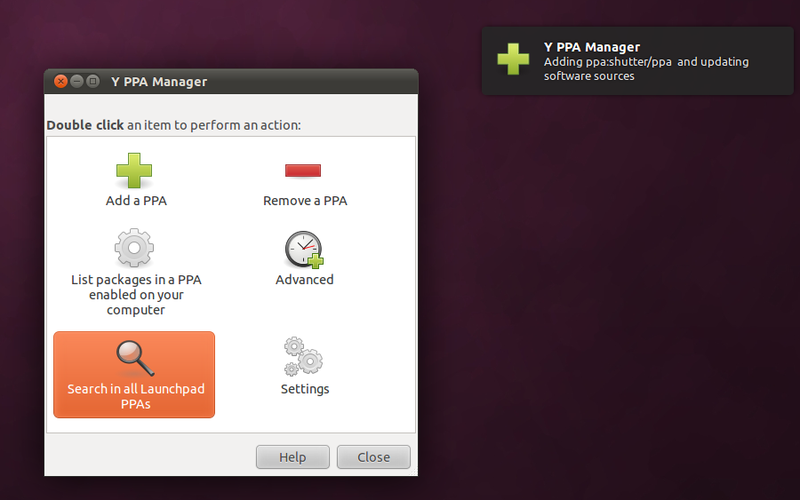 Done, Y PPA Manager is installed and ready to go. Though I have tested the above installation instructions only on Ubuntu 11.04 Natty Narwhal, it should work properly on Ubuntu 10.10 and Ubuntu 10.04 as well. As you might have already figured out from the PPA link, Y PPA Manager is built by folks at WebUpd8 blog. Thank you Andrew for this very useful application. 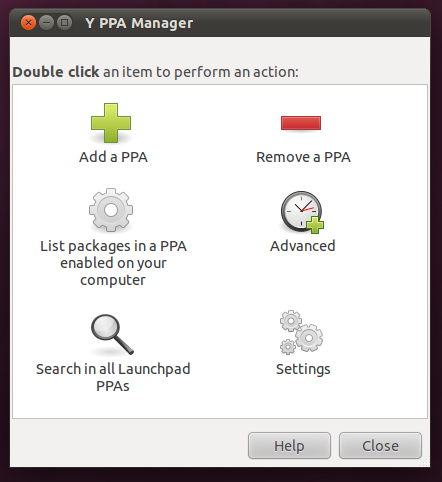 Recommended Read: Top 6 Quicklists for Ubuntu 11.04 Natty to Enhance Unity Launcher Functionality.